The Terrors got off to a superb start in the match and took the lead after only eight minutes. Derek Stark did well to win the ball from Peter Weir out wide on the right, and his ball down the channel set Paul Sturrock free. The striker raced through on goal, and drilled the ball low past Jim Leighton to give United a deserved lead. The home fans had hardly stopped celebrating the opener when United struck again. 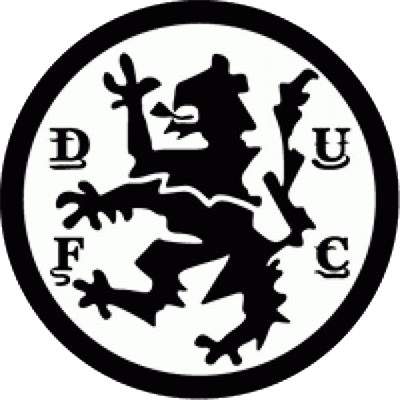 Davie Dodds controlled a long throw into the penalty box before turning and laying the ball into the path of John Holt who crashed an unstoppable left-footed half volley from 12 yards past the helpless Leighton for his second goal in a week. United were now in full control of the match and they added a third on the half hour mark. 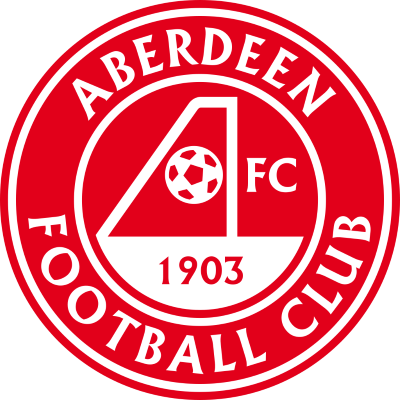 The Aberdeen defence failed to clear a long Dave Narey free-kick, Bannon headed the ball towards Willie Pettigrew on the right hand edge of the box and the striker looped a terrific effort over the head of the despairing Leighton and into the back of the net. The Dons pulled a goal back early in the second half after what must have been a stern, half time team talk from Alex Ferguson. 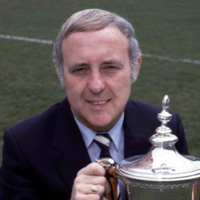 From a free-kick out wide on the left, Weir crossed the ball into the box and found the head of the unmarked Alex McLeish who powerfully headed downwards past McAlpine to make the score 3-1. However United did re-establish their three goal advantage in the 60th minute. Breaking quickly down the field, Sturrock beat McLeish to a Pettigrew through-ball and found himself one on one with Leighton, but was brought down after rounding the keeper. Up stepped the ever-reliable Eamonn Bannon to fire the penalty kick into the top left-hand corner of Leighton’s net. That was the end of the scoring and the match finished 4-1 in favour of the home side. 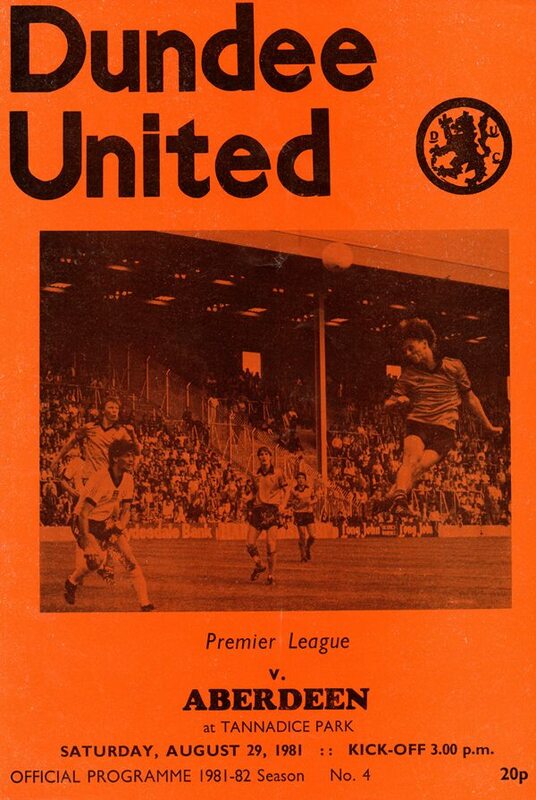 This was United’s biggest home win over the Dons since 1974 and ended a run of nine games at Tannadice against Aberdeen without a win. Eleven League Cup section points out of a possible twelve having earned a quarter-final double-header against Hamilton Accies can combine towards a successful term so far, but as usual I honestly cannot say I am completely happy with things. I still can't forget that poor display against Ayr last Saturday, although, to be fair to those involved, I admit to complete satisfaction as to the attitude in our midweek performance against Motherwell. Sure, our finishing was to say the least, poor, but the way the players went about their tasks provided my answer to criticisms regarding the wrong attitude on the park in the previous outing. And frankly it appeared to me that everyone's determination to adopt the right attitude probably had the wrong effect on the finishers in the side. Finding the net is a trade which requires a certain amount of relaxation at the critical time, and that was marked absent in midweek. Today we open our Premier League campaign against Aberdeen in a clash which could prove even this early in the season to be our hardest of all. Failure to achieve a settled formation throughout the League Cup has caused problems and even at this time of writing I still do not know if several key players will make it in time. However, one thing about this afternoon's derby delights me, and that's the fact that our north-east neighbours will come here to play us with no thought of closing down the game and therefore its entertainment value. What I am worrying about is if at the end of the day Alex Ferguson's side take anything from the game. I'll have to listen to his boasting about it. Honestly he is bad enough to put up with at any time, but when he wins he is unbearable!